There has been, past and present, comments and chatter on line as to what size table to buy with the longarm machine. The obvious factor is how much space have you got. If it's going into a full size garage or a good sized basement simple answer...how big do they make it. But for most of us it's a room in the house...we were lucky it was the living room and at 16' 5" X 13' 6" we had plenty of room for a 12' table with enough room to walk around the machine, all around, both ends and behind. With that said...it is important to remember that the machine can only travel so far right and so far left on the table. So which ever table you get you have to give up some of that table width. 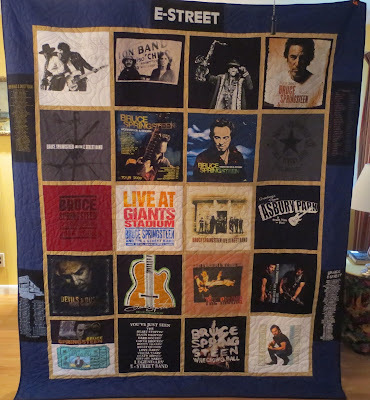 In our case, with our machine and table that is about 2'...12' table or not we would be hard pressed to quilt anything wider than 120"...The following photos will hopefully give you the visual image I'm talking about. The machine is as far right and as far left as it will go the way it is adjusted for us to operate it ergonomically and comfortably. I could get a couple of more inches but I'd have to move the handles and that is just not practical. Above is as far right...the handle is in contact with the frame and the needle is as far right as it can go. Below, same thing on the travel to the left. So...your table size is going to depend on how much room you have with the understanding that a 12' table doesn't mean a 12' quilt. We might have been able to put a 14' table in...the room has wide door ways at both ends and we could have gotten around the longer table...but we thought about doing something wider than 10', probably not very common...and probably more like a tent or a sail than a quilt. I mean think about it; a King Size with a 20" drop and a standard 10" tuck is only 116" X 110"...anything bigger would be a sail. Last night I again had the opportunity to present a Quilt of Valor to another Vietnam Veteran...for those who follow the blog you know I have a soft spot for those of us that were fortunate enough to return home, a home that was not very receptive to those serving the country that we love. Wounded by 'friendly fire' he took a bullet in the face that would result in reconstructive surgeries that ran from 1968 thru 1985. Surgeries that would lead to meeting the Doctor responsible for creating Operation Smile; a meeting that would provide him with the opportunity to go on mission with Operation Smile to Thailand and to Vietnam...this time under very different circumstances. What made this one even more emotional, if that's possible, was that I know the recipient...we both belong to American Legion, American Legion Riders, share a love for motorcycles, the open road a good 'greasy spoon' and as young boys found ourselves standing on some 'yellow foot prints' at a Marine Corps Boot Camp...Bob in the East at Parris Island while I on the West Coast took what Parris Island Marines call a summer vacation in San Diego...which leads to the title of Hollywood Marine. Go figure. I just wish my Drill Instructors had been made aware they were suppose to go easier on us. Throughout his life after the Marine Corps you would and still will find Bob helping other veterans and service members in any way he possibly can...and whether he is helping move something, planning a visit, cutting down a troublesome tree at a veterans house or just giving one a couple of bucks each and every action is from the heart...I know of nothing about this man that isn't real. As the presentation was about to begin I spoke briefly about how I would make every effort to keep my emotions in check...I lied. I have been privileged and honored to make presentations to service members and veterans that have been 'touched by war' this one will always carry a special place in my soul. It was also my honor to stand with other members of the Tidewater Quilters Guild who took the time to attend...as the QOVF Region 9 Virginia, Regional Coordinator sharing in this moment I was twice honored and privileged in the same evening...Elaine, Gussie, Barbara and Charoltte thank you. To the many women and men of the Tidewater Quilters Guild volunteer their time and talents to support the Quilts of Valor Foundation you exemplify what they stand for...It is my sincere desire that each member of TQG have the opportunity to witness a presentation and feel the love, caring and emotion that a QOV fills a room with. To all of those that have served and are serving...thank you...and in case, just in case it slipped the minds of those you committed to defend and protect...Welcome Home. There is no mistaking...This foundation is not about politics...it's about the people. Bob asking me for a Kleenex...big tough guy!!! First I must point out to those who have not read, heard or been made aware of the Quilts of Valor Mission Statement the following…that can easily be located on the Home Page of qovf.org. It is to say the least, simple and should leave no doubt as to its meaning or the mission of QOVF. Secondly rest assured that the commitment, sincerity, conviction and dedication to honor and abide by that Mission Statement directs the actions and commitment of Elaine Page, my wife and lifelong partner, in recognizing the need of ‘all’ veterans that have served this great country each and every day. Past and present on home or foreign soil, hospitalized or having residence, visible wounds, wounds suffered that have no visible characteristics or no wounds period are not separations of qualification that Elaine nor Quilts of Valor recognize. The presentation of a Quilt of Valor is stipulated very specifically as “…touched by war…” That brush with reality does not always manifest visually or consciously. With the obvious exception of a few it is my experience that neither do our guild members associate with what I consider to be single minded and juvenile. It is this guild characteristic of unselfish, dedicated and sincere respect for quilting and quilting for QOV and the gratitude of those serving and those that have served that guided me to membership. 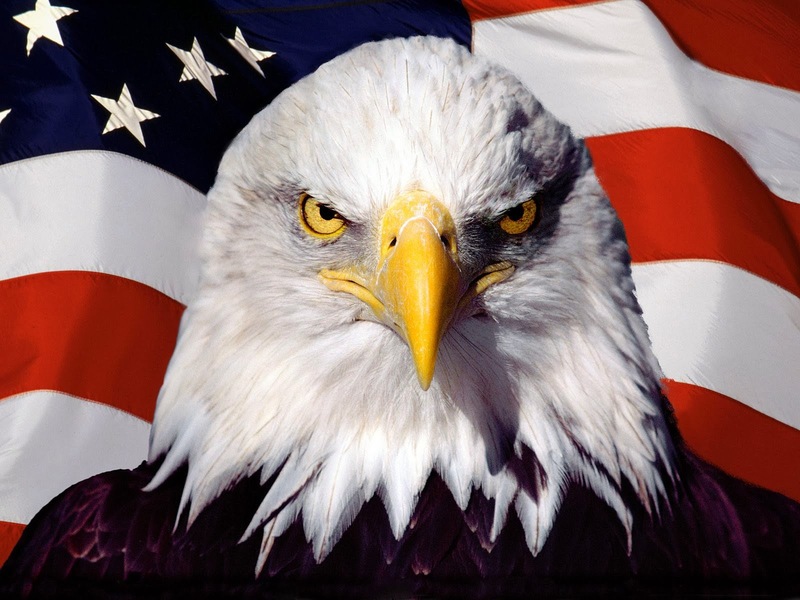 Please rest assured I will die protecting any individual’s right to have and express their point of view and the freedoms that guarantee that right. Also be assured with that I be allowed to express mine and disagree with theirs. With the exception of my father, a decorated WWII combat veteran and my wife, it would be 22 years before any individual would thank me for my service in Vietnam…I vowed long ago, and long before it was popular that I would not, I would Never Forget, and always make the extra effort to recognize another’s service. QOV has just been another avenue that allows me to do that. One that I am so thankful for and one I doubt could be truly understood by others, other than Elaine. Elaine’s dedication and commitment is even more deeply rooted. It was Elaine that would be awakened in the middle of the night lying next to the man she married sitting up in bed staring at her and not knowing whether he recognized her, where he was, who he was with or possibly why he was. It would be a long time before I would know this for I to this day have no recollection of these incidents and I’m not certain I can even relate to the courage she needed to experience them. It does explain some of the patience, care, love and understanding I received that baffled my mind as to why would anyone put up with me for this long. Let me assure you, it is this patience, care, love and understanding that goes into every quilt she sews on, longarms, cuts fabric for, pieces and presents. 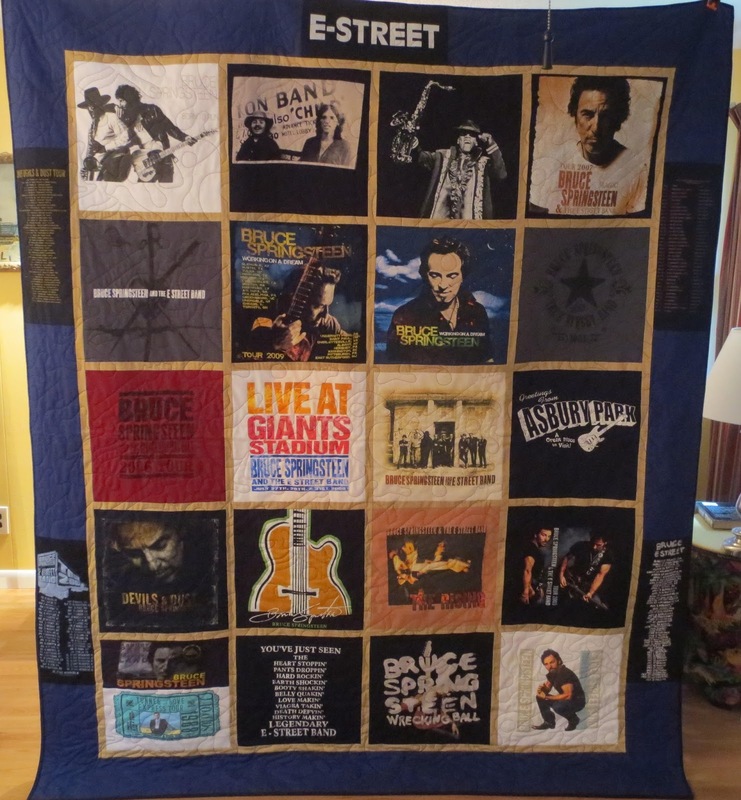 One can also rest assured if there are individuals that desire to see their quilt sent anywhere in the world for presentation…she will see to it that their desires are met and they receive the information necessary to carry that desire out. But I beyond any reasonable doubt beyond any and all expectations and beliefs know that those “…touched by war…” can be found everywhere…and whether it be through Quilts of Valor, Quilts of Honor East, or a quilters guild I will make every effort to fulfill the need to recognize, not only those who pass through a hospital, but have passed through the anguish of war, sacrificed to serve this country and made the commitment to protect and honor this Republic and the documents that are the foundation of our freedom. For those that don’t believe doing that locally, as often as is humanly possible, is in the best interest of QOV, the guild, our community and our appreciation, well you haven’t been to a presentation. My response to these actions, the motivation and inspiration to become more active in the Quilts of Valor Foundation, more than just longarming quilts, directed me to investigate other avenues and discover what more could I do to support the 'mission' of QOVF and Elaine's commitment to deliver an accurate and informed message as QOVF deserves. It would lead to applying for a Regional Coordinator's position with the Quilts of Valor Foundation...My application for Region 9 Virginia, was accepted and I have assumed the duties associated with that position...to say I'm honored to become a more active and involved member of this dedicated and committed group of individuals would be at best an understatement. In the above letter I made the statement "...I will make every effort..." My application being accepted is another avenue to fulfill that...be assured as the Region 9 Virginia Regional Coordinator I will make every effort to promote, assist, point in the right direction and aid any and all individuals in there quest to support the mission, procedures and policies as directed by the Quilts of Valor Foundation. Designed, pieced, longarmed and delivered. 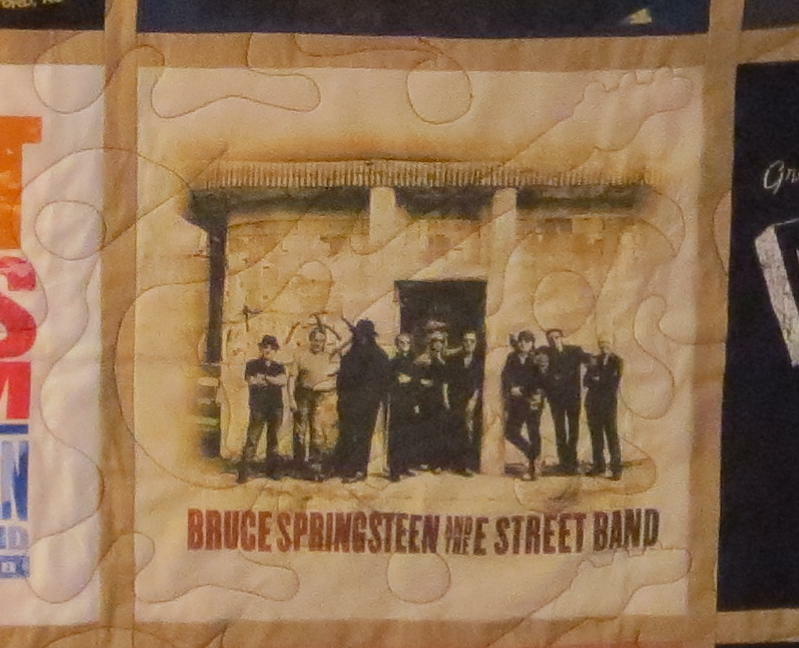 Here are a couple of photos of the Springsteen T-Shirt Quilt Elaine and I made for Katherine B. who can only be described as one of the Bosses Elite. If he hasn't had the pleasure of meeting her it's his loss. T-Shirts incorporated dated back to 1975 through 2013. We used one that K.B. picked up in Paris when she flew over for a concert. We are talking FAN. I posted the following this morning on one of our 'group' sites and just thought I would share with others for two reasons, it doesn't make any difference who manufacturers the equipment you use, there will always be questions and as the user base increases like ABM/Innova's has and is. Those questions will come back around...safe to say again and again. BIRDS OF A FEATHER will be held in FEBRUARY 2014 in our neck of the woods. 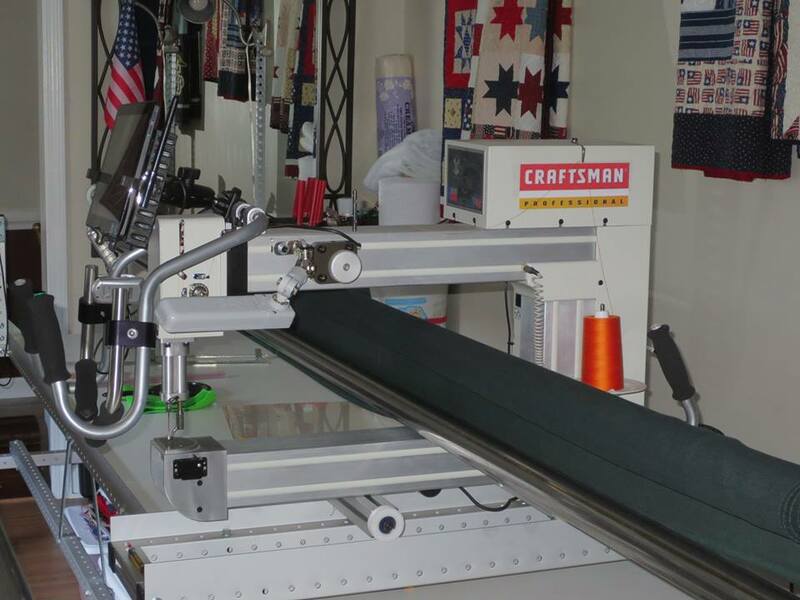 Virginia Longarm and the Virginia Longarm Network (our dealer...no brag...just fact) sponsor this event and if you longarm and have the remotest opportunity to attend please do so. Information can be obtained by visiting www.virginialongarm.com and selecting the BIRDS OF A FEATHER tab. Oh...if you haven't seen their new web site...well hot damn. Sorry...couldn't help myself. If you do have the opportunity to attend and you are a PantoVision user I would love to have you attend the PantoVision Class I will be leading...information can be found under Class Descriptions once you've maneuvered to the Birds of a Feather page. I'm not certain if I could be bestowed with a greater quilting honor than to be listed with the likes of Valerie Schlake, Renee Haddadin and Jamie Wallen...just to name a few. This is one of those "I'm not worthy moments." I have mentioned on several occasions that Elaine and I are active in the mission of the Quilts of Valor Foundation...if you're not...why??? Okay I have a soft spot. Being a Vietnam Veteran and receiving my first 'thanks for service' with the exception of my father, a decorated WWII Veteran and Elaine...it would be 22 years before I would receive my first. Long before it was popular I vowed never to be guilty of not acknowledging any man or woman that accepted the responsibility and commitment to place themselves in harms way and defend this Republic and the documents that are the foundation of our freedoms. QOVF is one of those avenues that allows me to continue keeping that vow with a little oomph. Again last week I was provided the privilege and honor to present another Veteran with a personal thanks accompanied by the comfort and warmth assembled by those that share their heart felt thanks as it passes through their hands while they piece and sew much more than just a quilt. The recipient in this case was a Veteran whose story is indeed sad, as are way too many. 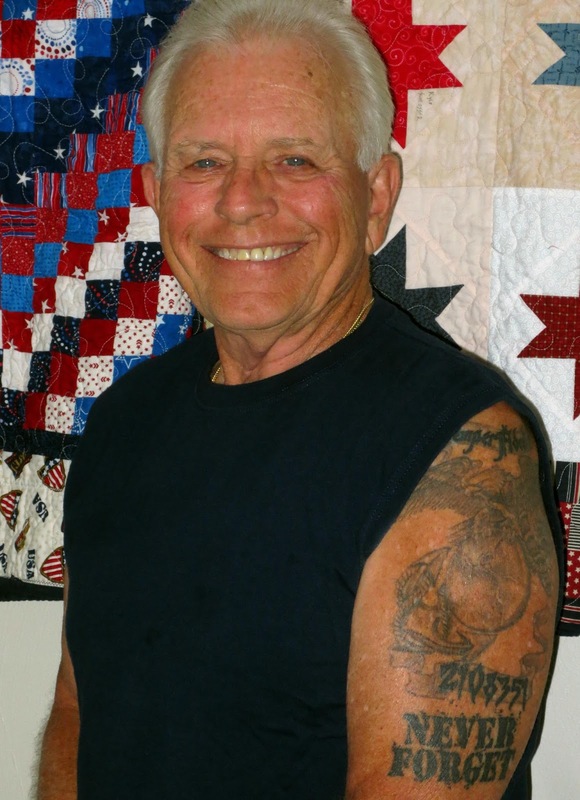 He volunteers in the Clothes Closet at a local VA hospital...while at the same time continues treatment and therapy for Traumatic Brain Disorder. Almost daily he can be found at the VA doing whatever he can to help other Veterans...and asks nothing in return...think about it. 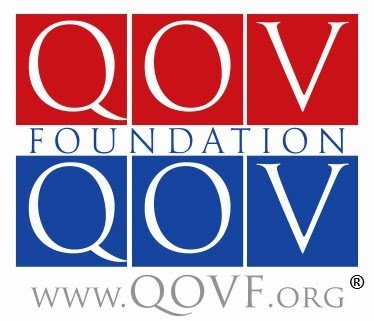 As difficult as it is and as emotionally draining as it can be the presentation was made with a personal pride and honor to be associated with this man via our commitment and the pride and honor to be able to support the QOVF. The recipients emotions were also hard to keep in check...a common side effect of receiving a QOV. What made his special, all are in their own way, he knew exactly where it would be displayed...for now after a long time of being a Homeless Veteran recently he was able to acquire an apartment and a new couch. 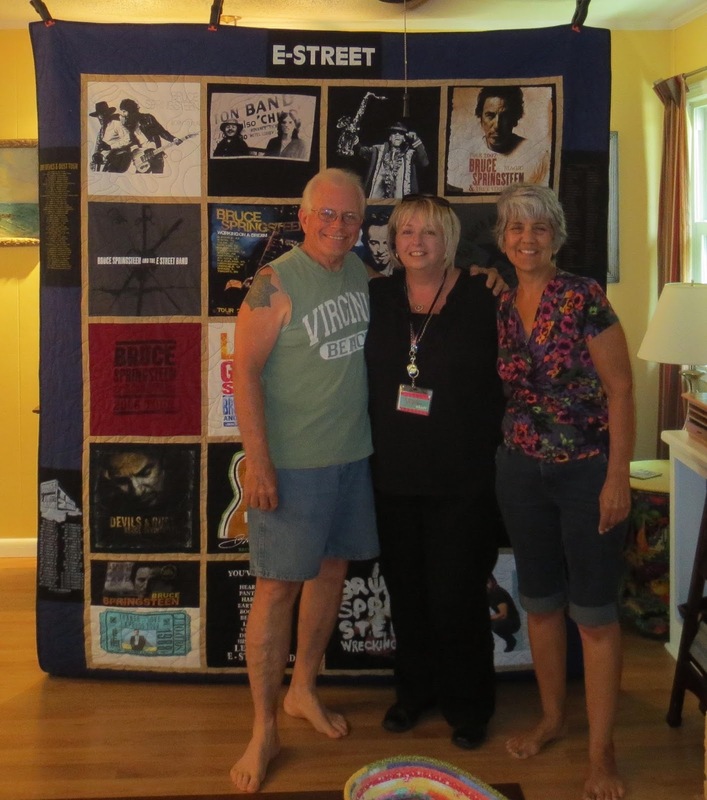 Pictured are the recipient, Bobby J. and Diane B. the Tidewater Quilters Guild member and VA Hospital Volunteer that relayed Bobby's story and request for presentation. We couldn't have been in better company.